Thanks to Radz and Bulls-I-Toy for providing me with product to review. All thoughts shared are my own. Get ready to take your Easter to the next level! In fact, one may even say, it's going to be an EGGcellent time for all! Are you ready for Easter?! Thanks to Radz and Bulls-I-Toy assortment of amazing Easter foam eggs, candy dispensers, unicorn blind bags and unicorn cutie cuffs, I feel more ready than ever. I cannot thank these companies enough for the adorable assortment of goodies they sent my way. They are pretty delicious if I do say so myself. 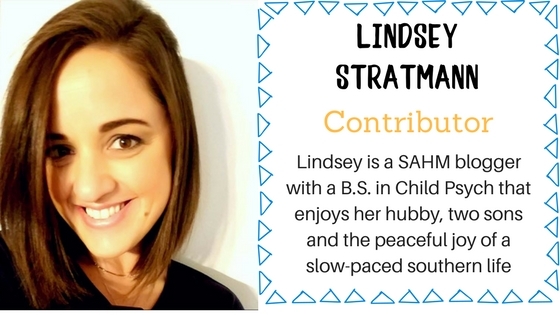 I know, I know they are for the kids! 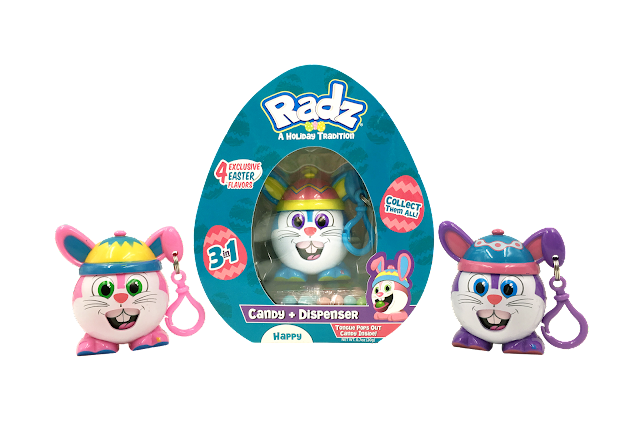 The kids can clip these Radz bunnies onto their backpacks or just sit them on a shelf for an adorable Easter decoration. The candy dispenses out of the mouth of the bunny which makes for a fun experience for the kids. These Radz foam bunnies carry delicious candy inside and are perfectly squishy for little hands to enjoy! You can also use them as finger puppets if you remove the candy container inside. Collect Cookie, Clover, Cooper and a chick named Conner to make this Easter "eggs-tra" special! Check out their website to find a retailer near you that carries these adorable Radz candy dispensers. If you shop at Target, they are available in-store only. Along with the candy dispensers, you'll want to include these unicorn Cutie Cuffs and Lil' Flockers unicorn bags! The soft unicorn cutie cuffs can attach to bed posts, backpacks and even wrists! Bulls-I-Toy company has an amazing assortment of toys, including these Cutie Cuff unicorns which are available to purchase in-store at Target for $4.99 each. They will boost the cuteness factor of every wrist they adorn! There are 8 huggable friends to collect. Lastly, if you're looking for a sparkly, pearl-esque bag that is filled with 100% unicorn inside, Lil' Flockers unicorn bags are just the ticket! 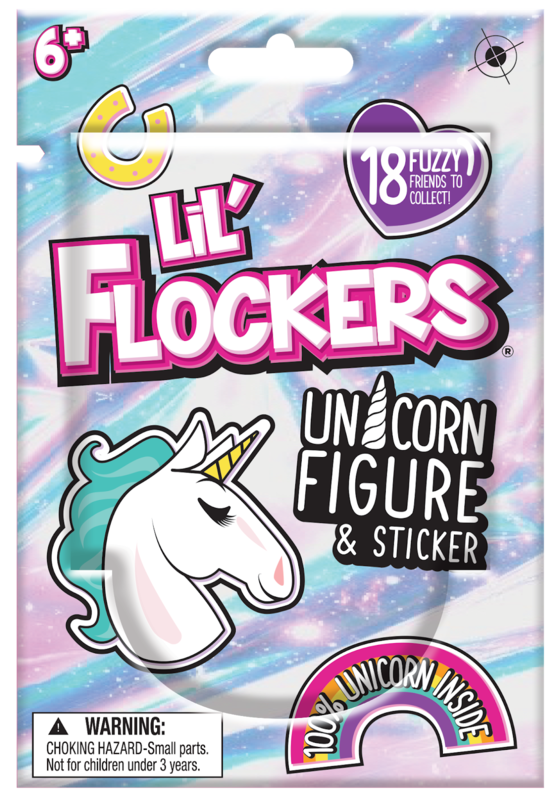 There are 18 unique fuzzy friends to collect as each bag comes with a unicorn figure and sticker. Aren't these simply adorable? I just love the bright colors and detailed design of these unicorns. Who is the unicorn-loving person in your family? 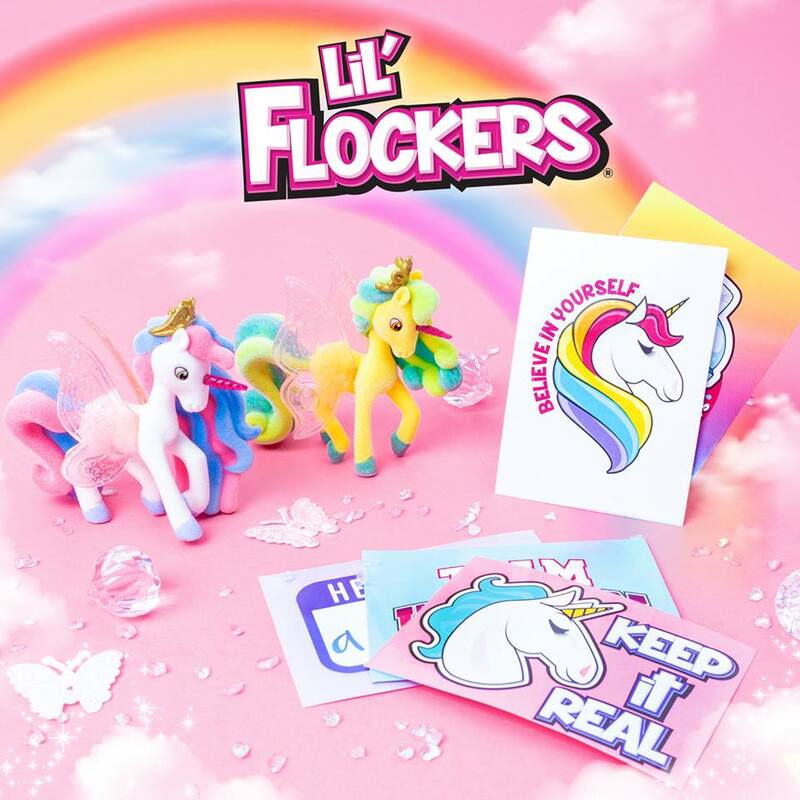 You can snag the Lil' Flockers bags in-store at Target for $3.99 each. These are going to add so much fun to your Easter celebration this year! I hope you've enjoyed learning about these adorable new Easter basket goodies! Remember to check out your local Target to find the items above. If you want to learn more, visit Bulls-I-Toy on Facebook and Instagram. You can also check out Radz candy dispensers on their Facebook and Instagram pages. 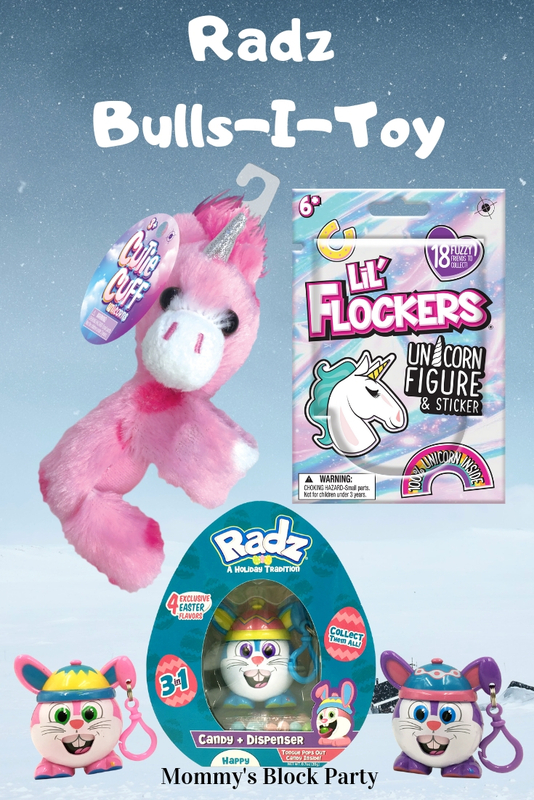 Special thanks to our friends at Bulls-I-Toy and Radz for partnering with us to bring you these cute Easter basket goodies. It is my truest hope that you have a wonderful Easter holiday filled with love and happiness!